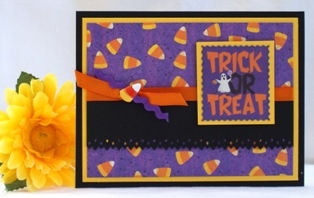 Use my Halloween craft card ideas to build your own Halloween cards. 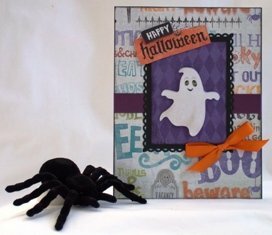 Find many examples of cute handmade cards to make a Halloween card that’s unique. 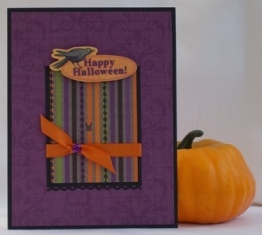 My Halloween card idea came from an ebook I purchased called 50 Card Making Sketches. I use this book for inspiration and to help me layout my cards. This card is a simple one to make and you can make it in no time. 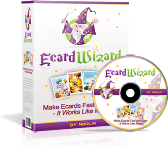 With the measurements and instructions on the book, it will help you save time when putting your card together. For this handmade card making craft, I started with a blank, black card. The card was originally 6 1/2" x 5" but I trimmed it down so the finished card size was 5" x 5". I then adhered purple paper, about 1/8" smaller than the black paper over the black card. 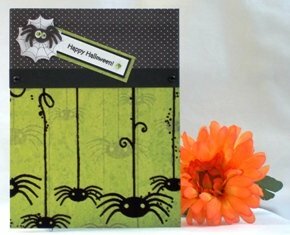 I had several stickers still left over from my other projects making homemade Halloween cards and decided to use this spider and web. 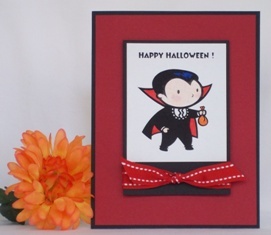 since it was a small sticker, I decided to make my Halloween greeting card small and square. For many of my paper card making ideas, I often use the colors on the featured sticker or image. Since there was green and black on the sticker, I thought I'd start with those two colors and then decided to add purple. 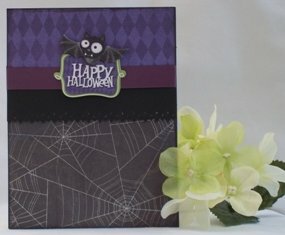 There are fun papers to use when making Halloween cards. 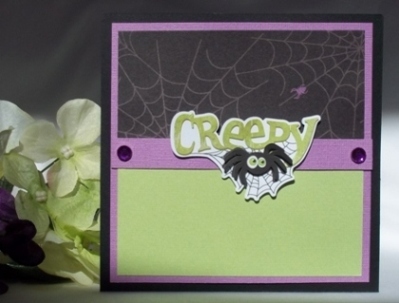 For the top part of my card, I used a black and purple spider web print. I thought it tied in nicely with my spider sticker. On many of my homemade greeting card ideas, I like to use lots of embellishments if I think it makes sense. I did start with adding ribbon on this card but it ended up being too much and I took the ribbon off. I do like to add adhesive gems for many of my Halloween card ideas and I didn't think it was too much for my Halloween card making project. 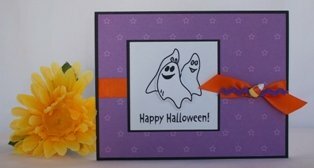 Cardmaking ideas can be simple or complicated but I think the handmade Halloween card above is pretty easy and simple to make so start your Halloween craft card soon.